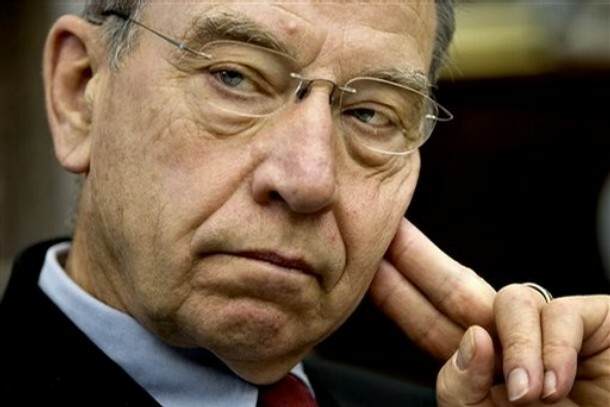 Article analyses five cases exposed by Senator Chuck Grassley of eight psychiatrists under-reporting pharmaceutical company earnings to their academic medical centers and the National Institute of Health. The concern is that these conflicts of interest affect promotion of a drug and are not taken into account when research funding is allocated. It is difficult to know how generalisable these cases are or whether psychiatry is more problematic than other specialities. The article questions whether transparency in physician-industry exchanges is sufficient. Apart from the emotional consequences, the psychiatrists in these cases escaped largely unscathed. Only one academic medical center had its research funding affected. The NIH seems reluctant to intervene and the head of NIMH helped one of the worst violators avoid serious consequences, for which he later apologised (see The Chronicle of Higher Education article). The problem is endemic in the system. Stronger conflict of interest policies, would be meaningful and would perhaps may help prevent future unethical behavior. Barring unethical "professionals" from federally funded research would be even more effective I would imagine...It would be the sensible thing to do in light of the the societal costs of the misconduct of the worst offenders...Why continue to invest in research conducted by people who have demonstrated an inability to be honest; and an absence of ethical integrity? People who escape being held accountable are not more trustworthy for getting away with their bad behavior...Instead of being punished in any real way for violating the ethics of their profession, and violating the trust of the American people, they have been rewarded with Government Grants, retain their positions of prestige and authority among their peers, and are even allowed to teach future psychiatrists! Continuing to fund researchers with no good unethical behavior is not a wise investment at all...The fact that Tom Insel sees nothing wrong with what he did to help Nemeroff, or continuing to give grants to unethical researchers, is evidence of his unsuitability for the job he holds. The idea that "transparency" will somehow cleanse a system and prevent it from being corrupt is a hoax. The best and most obvious example is the disclosure policy of the US Congress and the relationships that members of Congress have with lobbyists and money. Those relationships make this article (for some reason just restricted to psychiatrists) pale in comparison. If the authors wanted a shocking article they could write about how laws are written and pass in Congress. The only way to prevent corruption is to completely eliminate money form the system. That would disrupt American politics because there would be no reason to give money to Democrats or Republicans. All government funding for psychiatry should be abolished. The government doesn't give money to Benny Hinn the faith healer, psychiatrists are not real doctors, only faith healers and poisoners, and coercers, so abolish all forced psychiatry and abolish all forced redistribution of tax dollars from workers to psychiatrist's pockets. A life in psychiatry is a dishonest life, one doesn't need to be an academic psychiatrist hiding pharma bribes to be a dishonest psychiatrist. I think any young med student who throws their life away and becomes a psychiatrist instead of a real doctor, is fundamentally dishonest with themselves about what medicine is and ought to be. Controlling emotional problems with drugs is not medicine, it's faith healing and butchery of the pristine neural environment. I am SO glad I am not a psychiatrist. I'd kill myself if I was, out of shame. As someone whose life is remarkably better for having seen a psychiatrist, and being on medication, I find this article and some of these comments offensive and absurd. Pills may not be the answer to every problem, but with a good doctor and the right medicine, many people with psychological problems find help and relief. I'm sorry that you feel this way, but psychiatrists DO GO TO MEDICAL SCHOOL. They are REAL doctors. BTW, no one forced me to go. My son would most likely be dead by his own hand if it were not for the intervention of psychiatrists and medication. E Fuller Torrey attacks "The new antipsychiatry"